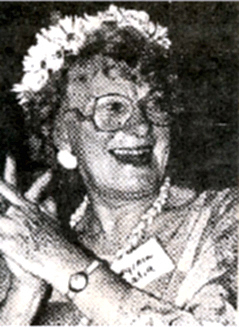 Virginia Satir, widely known as a pioneer family therapist, was a natural hypnotist who developed her own techniques. She worked in her own way with states of consciousness, using language, body organization, anchoring by touch, weaving (shifting back and forth from thinking to feeling, also known as fractionation), at all times moving on many levels with her subject. She developed the exquisite use of herself as an instrument, monitoring the moment to moment connection with the changes in her subject. This is what made her a great artist. In other words, she used her ability to go into trance – to be with herself, with the client, and above all, to be with the space between them. We carry within us from earliest childhood unconscious myths and messages communicated to us from our parents who received them from their parents. Children spend a lot of time in trance; parents were children once; parents are hypnotizees. The family is a hypnotic union in which the family metaphor is transmitted from one generation to another. The Family Reconstruction utilizes work with the unconscious to enable people to free themselves from unconscious dysfunctional learnings and patterns that were absorbed from the family of origin. In altered states people can experience the family history and family patterns in new ways, can reconnect with the inner child and then discover the rich human resources that lie within their own roots. The Family Reconstruction Group is a safe and loving context in which this work can take place. The videotaped segments demonstrated the “weaving” process – how people put each other in and out of trance and how this awareness can be used therapeutically.